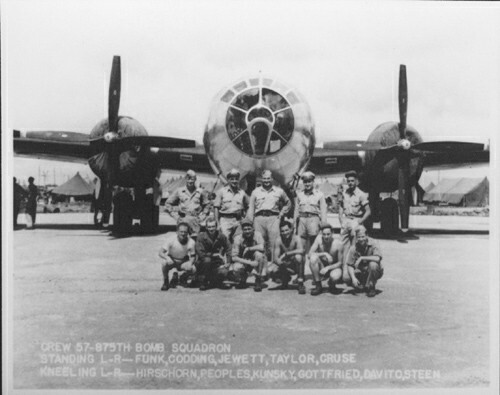 The flight crew of T Square 54, stationed at Saipan Island during the war. 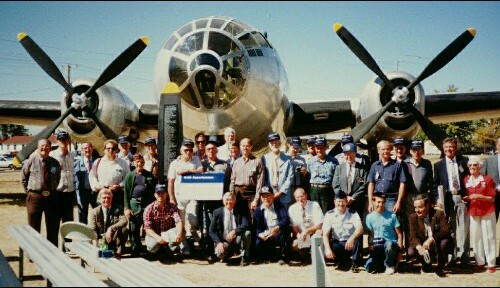 James Funk (standing 1st from left), James Taylor (standing 2nd from right), and William Gottfried (kneeling 3rd from right) were present at the Lowry AFB dedication ceremony on Oct. 2, 1987. 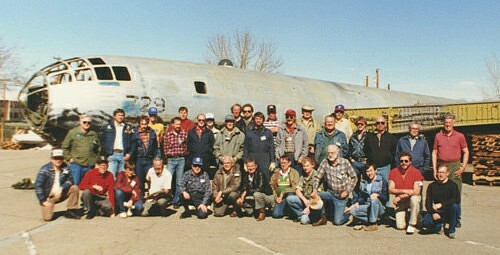 "Mel's Misfits", while the project was in progress. Mel is standing on your extreme right. 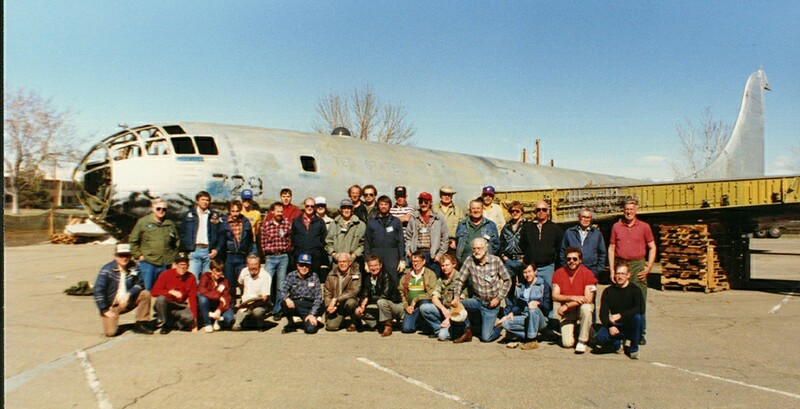 Mel's Misfits, this time in front of the finished product. 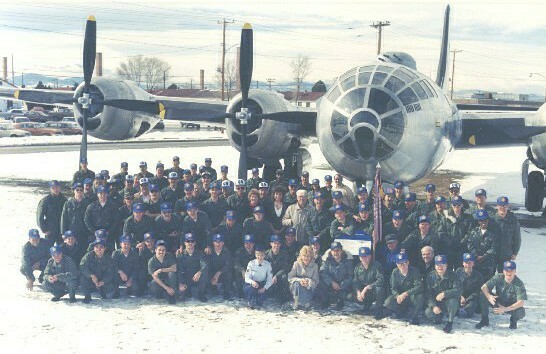 3415 Consolidated Maintenance Squadron, just before we disbanded. 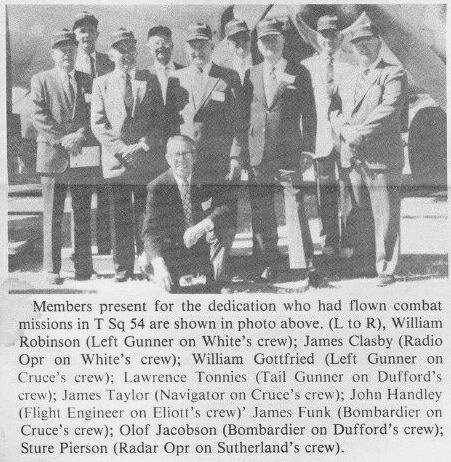 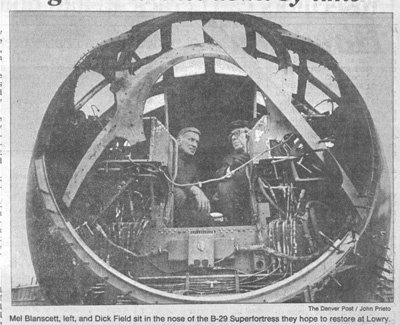 We provided support for T Square 54, including machine shop work, cranes, and tow personnel.